Kirsty joined PHF in the newly created post of Research and Data Analyst in 2014. She has previously worked in Government Social Research for the Home Office on issues relating to immigration and crime, and prior to that, in fundraising for The Children’s Trust. 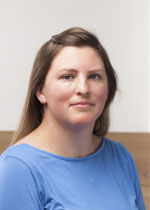 Kirsty has a degree in Modern History and Politics from the University of Oxford and an MSc in Policy Analysis and Evaluation from the Institute of Education.